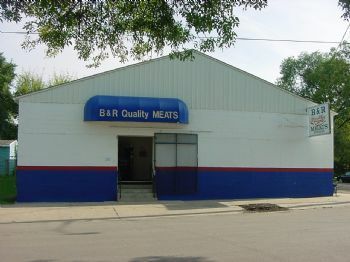 B & R Quality Meats Inc. was established in 1980 in Cedar Falls, Iowa by co-owners Dennis Brennan and Mark Ratkovich. After moving to 200 Park Rd. Waterloo, Iowa in 1991, the retail and wholesale division was expanded. We specialize in the highest quality of beef, pork, lamb, veal, and poultry. Beef cuts are from the highest USDA choice or higher grade, naturally aged, hand trimmed and vacuum packaged to seal in freshness and flavor. Locally owned and operated, our quality standards are backed by over 50 years of experience. © 2019 B & R Quality Meats, Inc., All Rights Reserved.